In recent years our wine cellar has been recognised by World of Fine Wine, Wine Spectator, Imbibe and the International Wine Challenge. We invite guests for a special evening in celebration of our cellar. 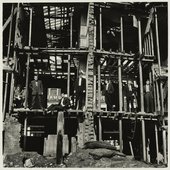 Guests will be able to visit the newly launched Don McCullin exhibition at Tate Britain outside of gallery hours. Our team of sommeliers will host a tasting of carefully selected wines from our cellars which you will be able to purchase to take home on the night. After the tasting we will serve a three-course dinner in the restaurant. Please note the dinner option is now fully booked. During dinner guests will be able to purchase wines for dinner from the list, with a number of bottles offered at special discounted prices for the evening. You will hear from our team as they share their passion with you, the heritage of our cellar and restaurant and what inspires them – plus their top picks.